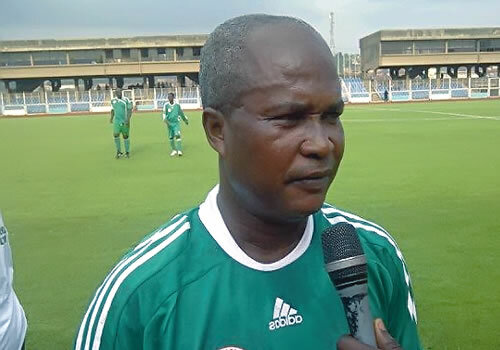 1980 Africa Cup of Nations winner, Henry Nwosu says Super Eagles midfielder, John Mikel Obi can truly achieve his potentials if he plays from the attacking line rather than playing as a defensive player. Mikel was at his best mettle at the just concluded Rio Olympic Games where he helped the Nigeria’s U-23 team claim Bronze medal after beating Honduras 3-2 in the third place match on Saturday. His contributions in terms of passes and creating chances for his teammates to score was one of the major highlights of Mikel’s outstanding display in Rio. Despite been used as a defensive midfielder at Chelsea since joining the team in 2006, Nwosu believes that the former Lyn Oslo star should be deployed to the attack in the senior national team. “I am really impressed with Mikel’s performance at the Rio Olympic Games where Nigeria finished third in the Men’s football of the event. He showed that he’s a player that can play from the attacking line not just for the national team but also for Chelsea,” Nwosu told soccernet.com.ng. “He must abandon his defensive style of play because it has limited his chances of showing what he’s made of as a player. Regardless of what he has achieved for Chelsea in the Premier League as still believe that there is more to him than just shielding the defenders of possession of the ball. “I saw Mikel in 2005 during the FIFA World Youth Championship and I said to myself that this is a great talent for Nigeria and another Henry Nwosu. But after that competition, he joined Chelsea and was not the same Mikel.He was no longer enterprising and advancing and I concluded that Mikel can’t be the No 10 player that we know,” he said.